After Apple’s A12, Korean tech giant Samsung Electronics has launched its processor with a die shrinkage from 10nm. 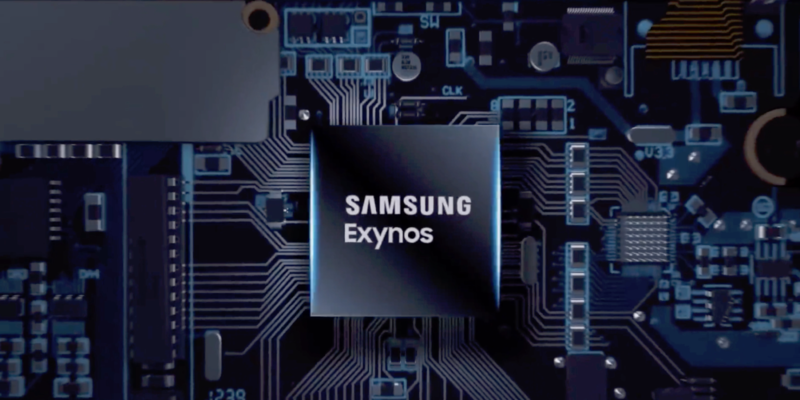 Samsung’s Exynos 9820 is official, and the processor confirms several features that surfaced previously on the rumor mill. Take a look below to find out more. Samsung’s latest processor, the Exynos 9820, features an octa-core design. The SoC uses four Cortex A55 cores for low-performance, and four Cortex A75 cores for high-performance calculations. Samsung claims that multi-core performance for the Exynos 9820 has improved by. 15% over its predecessor. However, we don’t know what performance metrics the company has used to arrive at this number. 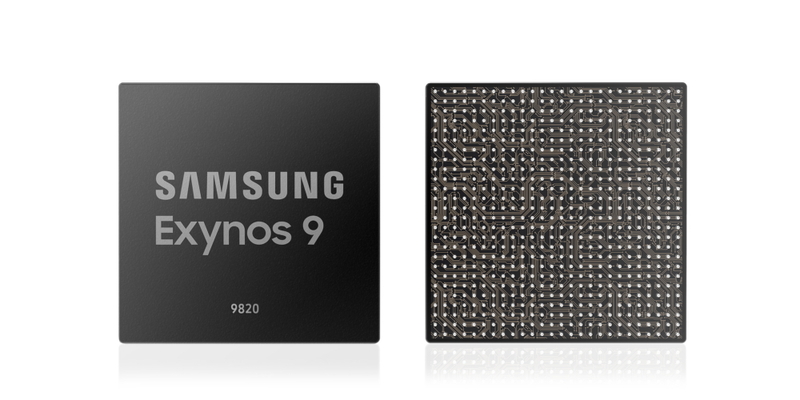 The Exynos 9820’s CPU cluster dedicated to executing demanding calculations features a change this year. The SoC’s predecessor had four custom cores in its ‘big’ cluster. However, the Exynos 9820 replaces two of these with ARM’s Cortex A75 cores. The remaining two are Samsung’s fourth generation custom CPU cores. These new cores will deliver a 20% improvement in single-core performance or a 40% increase in power efficiency, according to Samsung. Samsung has also equipped its latest mobile application processor with a new LTE-Advanced Pro modem. This chip will deliver 8x carrier aggregation, 2Gbps downlink and 316Mbps uplink speeds. The Exynos 9820 also supports 4K encoding and decoding at 150fps. Prior to the processor’s launch, the rumor mill had also predicted a dedicated NPU for the Exynos 9820. This rumor is now confirmed, as Samsung has equipped the SoC with a separate AI accelerator. With this NPU, artificial intelligence processing on the Exynos 9820 will be carried out on-board and seven times faster than on the processor’s predecessor. The NPU will focus on performing computations related to photography and AR. Finally, Samsung is yet to develop a custom GPU solution, despite rumors for such a development surfacing often. The Exynos 9820 uses ARM’s Mali-G76 GPU cores, and Samsung claims that this solution is capable of delivering a 40% performance or 35% power-efficiency boost. Samsung states that the Exynos 9820 will enter mass production by the end of this year.